I've loved this cover ever since I first saw it. It's so simple, yet so striking! A dystopian society with a battle to the death set for children? This is going to be quite the ride. From the moment I opened the pages, I read this book voraciously, wanting to see what would happen next! 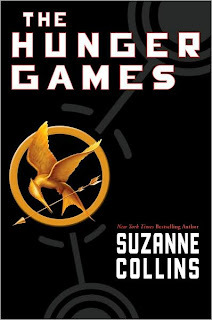 Suzanne Collins weaves a world that is similar to ours, yet different enough that you feel slightly disconnected. Her characters jump off the page, and it was so easy for me to feel invested in them. There wasn't a moment in this book where I felt like putting it down! Katniss is such a spunky protagonist. I loved every minute of her narratives and was rooting for her throughout the story. Following her through her pain, her suffering, her love, was heart wrenching and yet wonderful. This book really looks deeply into the inner self. It reminds us all what we can turn into when it comes down to survival. Her relationships with the sweet Peeta and the self-sufficient Gale were a nice addition to the overall plot. I kept wondering if the choices that Katniss was making were her own, or those of the people around her. I still am wondering who she will end up with. As an educator, despite the brutality of this book, I would fully recommend it to any of my students! 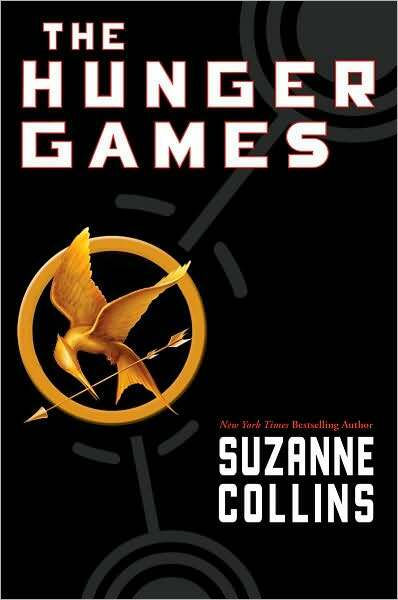 Thank you Suzanne Collins, and I cannot wait to dive into the next installment. Recommended to: Readers of the series, who are looking to finish it up. Everyone off the bus, and welcome to a Washington, D.C., they never told you about on your school trip when you were a kid, a place steeped in Masonic history that, once revealed, points to a dark, ancient conspiracy that threatens not only America but the world itself. Returning hero Robert Langdon comes to Washington to give a lecture at the behest of his old mentor, Peter Solomon. When he arrives at the U.S. Capitol for his lecture, he finds, instead of an audience, Peter's severed hand mounted on a wooden base, fingers pointing skyward to the Rotunda ceiling fresco of George Washington dressed in white robes, ascending to heaven. Langdon teases out a plethora of clues from the tattooed hand that point toward a secret portal through which an intrepid seeker will find the wisdom known as the Ancient Mysteries, or the lost wisdom of the ages. 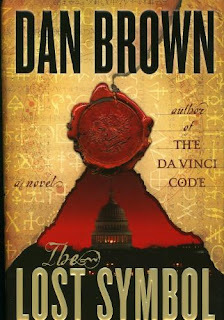 As a long time follower of Dan Brown and all of his books, I was extremely excited when I found out that this book was coming out! I pre-ordered it, and waited anxiously for it to arrive so that I could open it to the first page and find myself sucked into another amazing mystery. After opening the first page and actually diving in, I wasn't disappointed. A mystery ensues, stemming from a severed hand, and Robert Langdon is once off and running on a harrowing mystery. One problem I did have with this novel was that it is very slow at points. Careening along at breakneck speed at one moment, then slogging through descriptions of scientific theory at another. It is evident that this was important to the overall story, especially as there is a lot of theory that this book is ultimately based on. Still, it kind of slows down the progression. I found myself wanting to actually close the book at some points, which did not happen with the first two. The end of the book lagged especially, trying hurridly to tie up loose ends that weren't addressed earlier in the story. Although this definitely wasn't my favorite novel by Dan Brown, I was happy with it overall. Robert Langdon's journey was intriguing as always, with it's own special blend of mystery and history. I would recommend this book to anyone who enjoys historical fiction, and of course, to those who are following Robert Langdon on his epic journey. 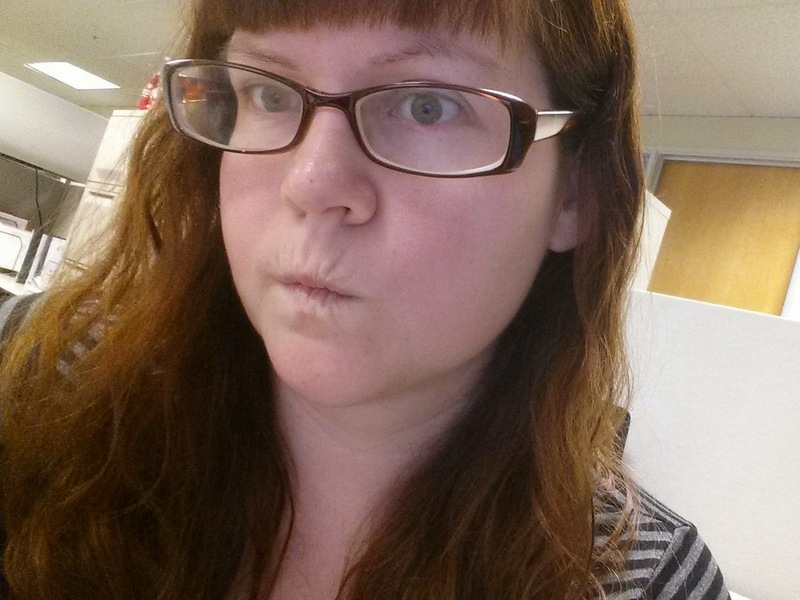 Hello, and welcome to Jessica's Review Archive! 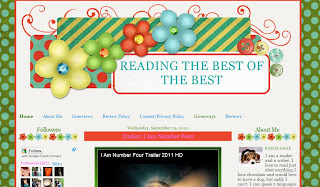 Below you'll find comprehensive lists of every review that Jessica has posted here on Hopelessly Devoted Bibliophile. Want more reviews? 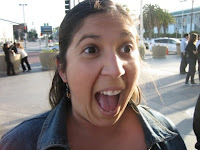 Be sure to check out Jessica's profile on BookLikes for every review she's written. As you may guess, A = Author and T = Title. Take a look, and find your next read! Our book rating system is a little different than most. We've come to terms with the fact that all our 5 star rated books won't always have the same reasoning behind them. That happens when you're eclectic readers. Please understand that the reviewers here always recommend books, even if they did not personally enjoy them. Our opinions are not the only ones out there! If something catches your eye, we suggest you pursue it! 5 Keys to My Heart - This book was pure perfection. It may have been the depth of the characters, the sweeping world building, or the brilliant story line, but something about this book stole our hearts. These are books that will become old friends, and be re-read many times. Please understand that a five star rating means that these books are highly recommended! 4 Keys to My Heart - Books rated at this level are ones that captured our attention, but were probably missing that certain spark that sets them apart from other books out there in the same genre. We will always explain what was missing, and how it pertains to our reading styles. These stories may not have hit that top mark, but are still definitely recommended! 3 Keys to My Heart - Books rated at this level are stories that we are on the fence about. The writing may have been top notch, but the characters needed more depth. Or the characters very strong, but the world building lacking. Again, we will always let you know the specifics on what was missing for us. A three star rating is still a strong rating for these readers, and we recommend that you give these books a shot! 2 Keys to My Heart -Books rated at this level are ones that we had a hard time getting through. A book rated at two stars means that we did indeed finish it, but it probably wasn't our cup of tea. 1 Key to My Heart - It is very unlikely you will ever see books rated at this level, because this means we were completely unable to finish a book. Only DNF ("did not finish") books receive a one star rating. If this is marked as closed, please don't send any requests until it is open again. We won't have time to read through them. Thank you. You can always find some candid information about us on our Meet The Bloggers page, but here's some more information about our reading tastes! Please note that this is an Indie Friendly Site! We appreciate and support all stories, no matter where they're published. My name is Jessica and, as the blog title states, I'm a hopelessly devoted bibliophile. I live a life surrounded with great stories, and I love every minute of it. My favorite genres include Contemporary, Fantasy and Mystery. I'll happily read things across all age groups as well! Yes, I do accept Children's Fiction and Middle Grade Fiction. In fact, if you were to ask, I'd tell you that most of the stories I fall utterly in love with come from these age groups. I'm a big kid at heart. I don't accept Non-Fiction books. I will, however, accept Erotica. Just please know that it will be reviewed on my BookLikes blog instead of here. We have a wide age range of readers here, and I want to accommodate all of them. 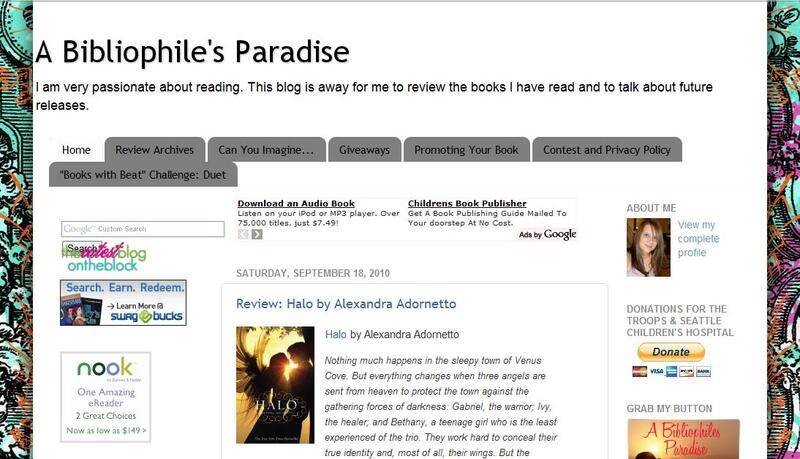 I cross post all reviews to BookLikes, Goodreads, Amazon and Leafmarks! Please note that, since I share this blog with my co-blogger, not all reviews will be posted here. 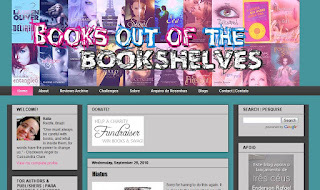 Some may be posted on my BookLikes blog instead. Rest assured that I have over 2,000 followers over there as well, and I'll still cross promote the post! * Novellas or Short Stories. My name is Tina and I'm also a hopelessly devoted bibliophile. My favorite genres include Mystery, YA Dystopian, Romance and Thrillers. I'll happily read things across almost all genres, though I prefer books geared towards young adults and older. Comic books/graphic novels aren't my favorite but I'd be willing to read one if it sparks my interest. There are very few things that I won't accept for review, however I don't accept Non-Fiction or Erotica. I cross post all reviews to BookLikes and Amazon! If you believe that one of us is a good fit to review your book, please let us know! You can email either of us by looking in the left sidebar for the envelope icon under our corresponding names, as well as by clicking the "Open" link when we are accepting reviews. We ask that you please include an easily accessible synopsis to read over, as well as some information about your timeline for reviews. We'll get back to you as soon as we can. When sending a review request, please provide an idea of the time frame you're looking for reviews within. We'll do our best to accommodate you! Our calendar is filled on a selective basis. We will do our best to respond to all emails, but sending a request doesn't guarantee a review. If our review calendar fills up, we will still be happy to host your for a promotional spot! Interviews, Guest Posts and Giveaways are always welcome! For Interviews, please email with the subject "Interview Request" and give a rough timeline of when you'd like the post to go up. Once we have an agreed upon date, we'll send you a list of 5-6 interview questions. You can also provide stock Q&A questions if you wish. For Guest Posts, please email with the subject "Guest Post Request". We'll check the calendar and hammer out a definite date that works for you. Guest Post topics are open to whatever you'd like to write! All we ask is that they are somewhere between 300-500 words. For Blog Tours, feel free to inquire even if the status above states we're closed! We push these as priority, in order to support authors that we enjoy reading. For Giveaways, please send the terms and run length for the giveaway in your initial email. Where are you willing to mail the prize? How long would you like it to run? Are there any specific items you'd like entrants to complete as a means of entering? The more information we receive initially, the easier it is for us to fit it into our calendar. Thank you for taking the time to read about us! We look forward to working with you! Now you might be asking yourself, well what is an affiliate? An affiliate is someone who I choose to link my blog with! We have similar interests and goals, plus I adore the way that they handle themselves and their blogs. As a team, we host events, help one another promote contests and just network! Here is a bit about my current affiliates and their blogs! Linna runs 21 Pages and is just an amazing individual! She mainly reviews Young Adult books, and has a personality that shines off the page. 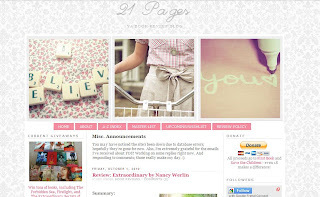 Give her blog a visit! Raila runs Books Out of the Bookshelves and she was one of the first book bloggers I asked to join me! She has the sweetest disposition, and you know what else? Raila blogs in TWO languages. Yup! Heather runs A Bibliophile's Paradise and is one of my all time favorite people. She's a busy mommy and going to school at the same time, so she isn't around as much. Still when she does post, her content is great! That brings us to Kailia who runs Reading The Best of The Best and is a sweetheart! I had the pleasure of meeting her when I first started out and she was very supportive. Her blog is extremely cute. Need I say more? So there you have it! Fabulous affiliates! Thanks for stopping by! * Reads ravenously, usually 13-15 books per month. * Loves Urban Fantasy, Sci Fi and Romance most of all. * Ignore the above fact, she'll read pretty much anything. * Favorite color is red. * Totally random at all times. Welcome to Hopelessly Devoted Bibliophile! I'm Jessica, the founder of this cozy little blog. Oh, and yes, that's me up in that picture right there. 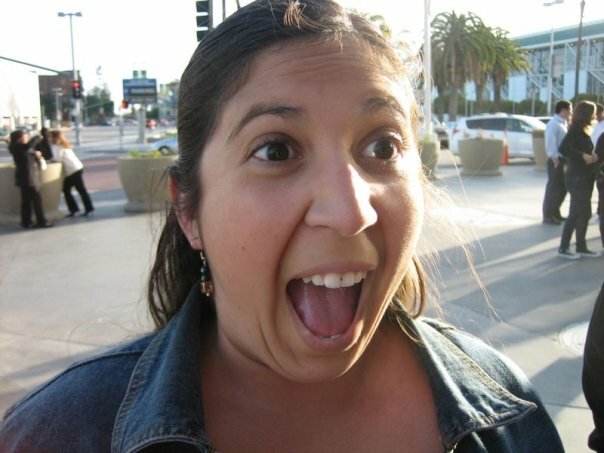 I get really excited about things quite often. It's a fact. Especially when they're book related! 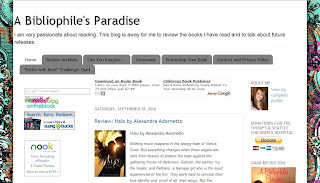 Hopelessly Devoted Bibliophile began in April 2010, when I decided to stop pestering my friends with my bookish opinions and put them online instead. 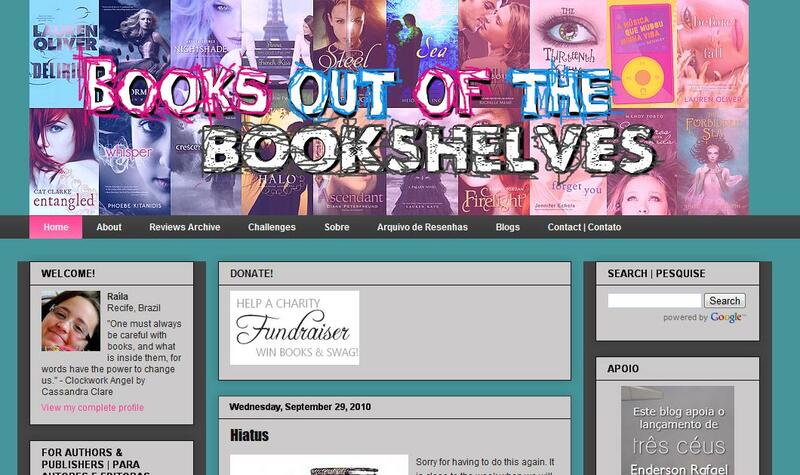 I quickly fell in love with the book blog world and all the awesome people in it. Reading is in my blood! I've been a ravenous reader since I was a little girl. I'd go on trips with my mom to the library, once a week, and drag home piles and piles of books. I read so fast, in fact, that by my early teens I had read my way through our entire Children's Fiction section and started reading books aimed at adults instead. Although I definitely have favorite genres, you'd be hard pressed to find something I won't read. I'm honored you took the time to learn about me, and look forward to sharing my thoughts with you! * Loves Mysteries, Thrillers and Romance most of all. I'm Tina, the trusty sidekick here at HDB. I've been a reader as long as I can remember. I grew up loving the Nancy Drew mysteries and Babysitters Club drama. I still remember the excitement of getting the new Harry Potter books on release day and devouring them the same day. Though my tastes have changed and developed over the years I still love getting lost in a book world as often as I can. Every summer my family would take a camping or road trip to a new destination which meant lots of time in a car. This was golden time for me (whenever I wasn't sleeping of course) because I could delve into my books and escape the torment of my three siblings. My new favorite mantra is "I don't need therapy, I just need books". I look forward to sharing my random, and sometimes absurd, thoughts with you all!